If you’re reading this blog that means that you are human, and you live in a body. One day, your body, mind, or both will need health care support. 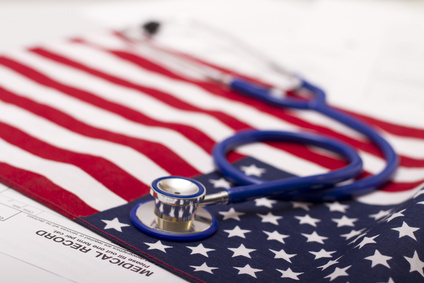 It is to your advantage to know what to expect when using your U.S. health care system, which is ever evolving. Today, you need to understand what the doctor is saying, and be ready to contribute to your health care decisions. Do you know what that looks like? Hang with me for a while, and you’ll see. If you have questions, let me know. Why is this consumer health information for you and your loved ones? The reason is that more than 65 million people across the nation are caring for someone who is ill, disabled or aged, according to the Family Caregiving Alliance for the National Center on Caregiving. They also share that one out of every six working adults is caring for an adult loved one; either a spouse, an elderly loved one, or an adult special needs child. This dynamic has an impact on the physical and mental health of the care recipient, the caregiver and the employer. You may not see how the employer fits into this, but you will. We will look at the impact of needing support for yourself, when there is no family support. We will share known realities for family caregivers. We will also discuss the employers’ impact, and what some employers are doing to help their employees. The information that will be shared will help you be proactive, when the time comes, or better maneuver if you’re facing health care challenges for yourself or your loved ones now. 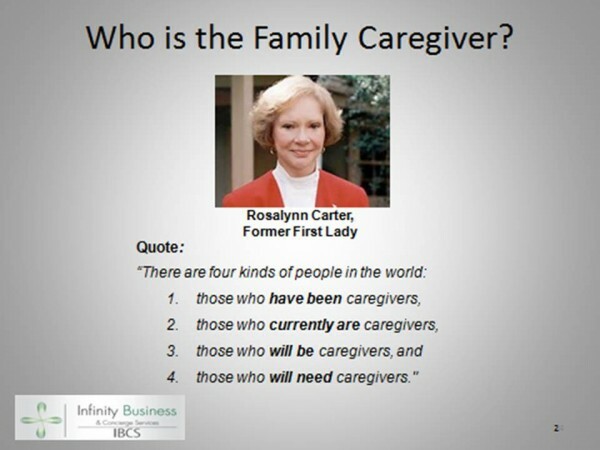 I will leave you with this, Rosalynn Carter, former first lady, is famous for this quote about caregiving. Check this, and let me know where you are in this spectrum. 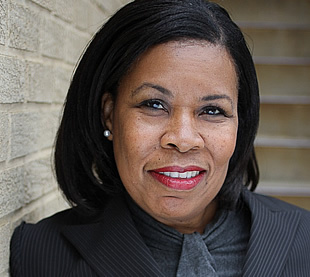 Laurel Jones is a Health care Advocate and founder of IBCS-the Healthcare Advocacy Firm, where they provide information, connections, and eldercare consultation for individuals, families, and employer groups in the DC metro. She holds an MBA from Johns Hopkins University, and a BS from Columbia Union College, now named Washington Adventist University. She's worked with health insurance plans, hospital systems, and managed care organizations for more than 25 years. She works with her clients as a consultant, to help them navigate the health care system, and arrange for any day-to-day support they may need to stay safe and secure in their environment. She also helps her clients find the right community for their elderly and frail loved ones. Laurel sees her work as a community service. You can reach Laurel Jones at interest@Infinity-bcs.com or call her at 240.724.7624 to get additional information. You can also check the Resources link on the website at http://www.Infinity-bcs.com to get additional information.